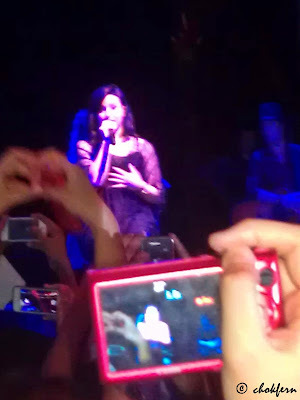 I got a special night out with Demi Lovato on 18th March! All thanks to Hong Peng(hpility) and Sis (ckchai). Frankly speaking… The name doesn’t ring a bell to me when sis first ask me along. Checking with JL only make me guessed I might have heard her song on HotFM 91.3. It’s till I really hear her singing, then I realized ‘Gosh! So she is the one!’. Yah. I often heard her song on radio before, just didn’t really take note. The performance supposed to start from 8pm at Hard Rock Hotel in the open air area. 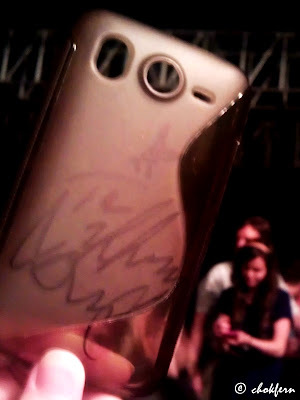 But Demi Lovato did not appear till 8.55pm… Luckily while waiting I get to see Tiffany Alvord and got her signature! So happy! Haha, actually before tonight, I don’t really know who is that sweet pretty babe with a beautiful smile, I didn’t even hear her song before! But she is cool, although its a hot evening, she been constantly keeping her smile on and always try to pose and sign for all the fans without signs of impatience. View her youtube video channel after the concert and realised her song is nice as well. 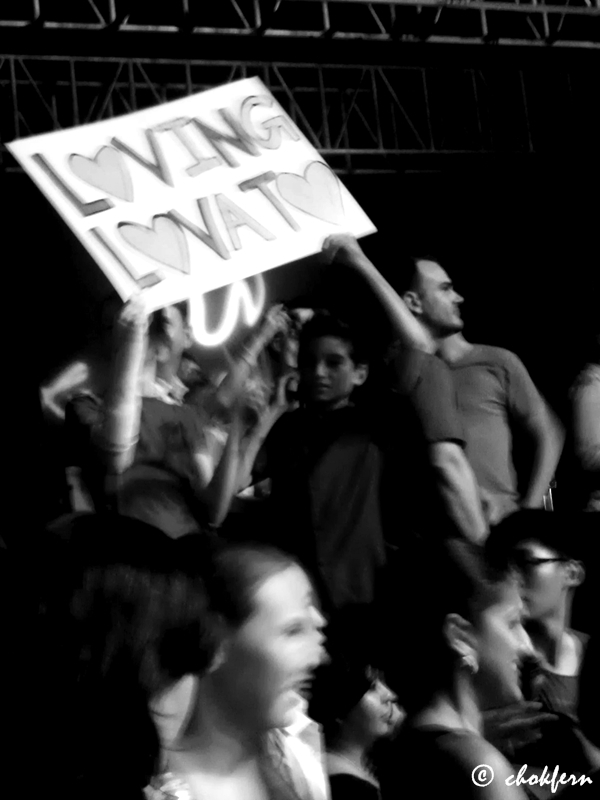 We need fans… I mean, there are too many human fans, we need the non-living thing type of fans! It’s a hot sweaty night. There are too many fans around, yet not enough of fans… wish there are more wind, or more space =) I was kidding with sis and friends that I am having a clubbing night on Monday… except I have to live without the drinks and air-con. Nice signature right? Thanks friendly Tiffany! After the long wait, Demi Lovato finally appear. She IS HOT! She is pretty, her voice is good, she sound sincere in her speech. And she makes the atmosphere hotter by 10 times immediately! It’s time I get a new HP with better camera quality 😛 but anyway, listening to her live is just … GREAT experience!